Vista Research Group products are now proudly provided by Crosstex International. 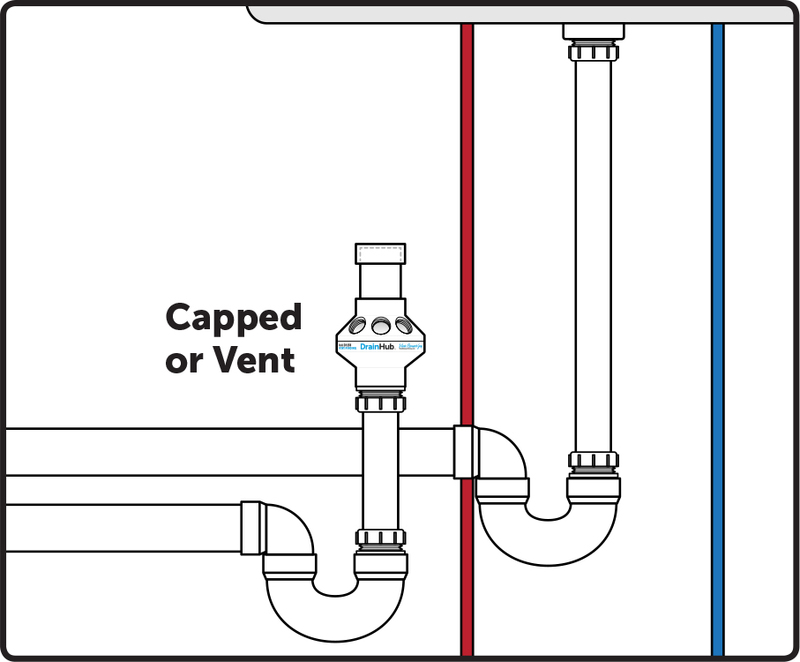 Every plumber and service tech knows the frustration: appliances like sterilizers, instrument washers, water purification systems, dishwashers, water softeners, washing machines and more all require drain connections—and it’s easy to run out of space fast. Thankfully, now there’s the DrainHub multi-port drain adapter. This CSA-certified, patent-pending device accepts up to eight drain connections in one small hub—saving space, cost and time! 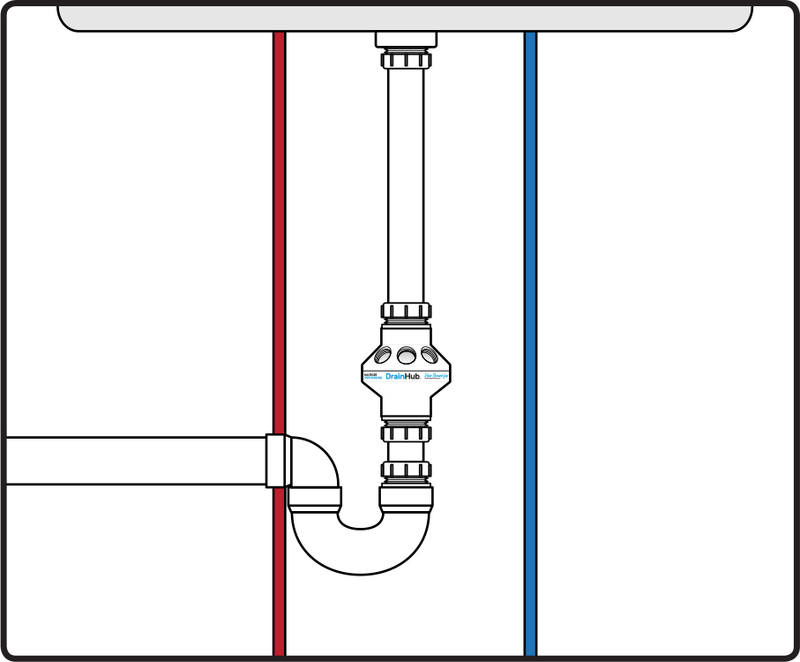 Installation beside the main drain line can offer maximum flexibility and can be achieved with the use of a simple drain tee adapter fitting. When possible, as in cases of new construction, it can be beneficial to run parallel drain waste systems to separate waste from the sink from other appliances and devices. 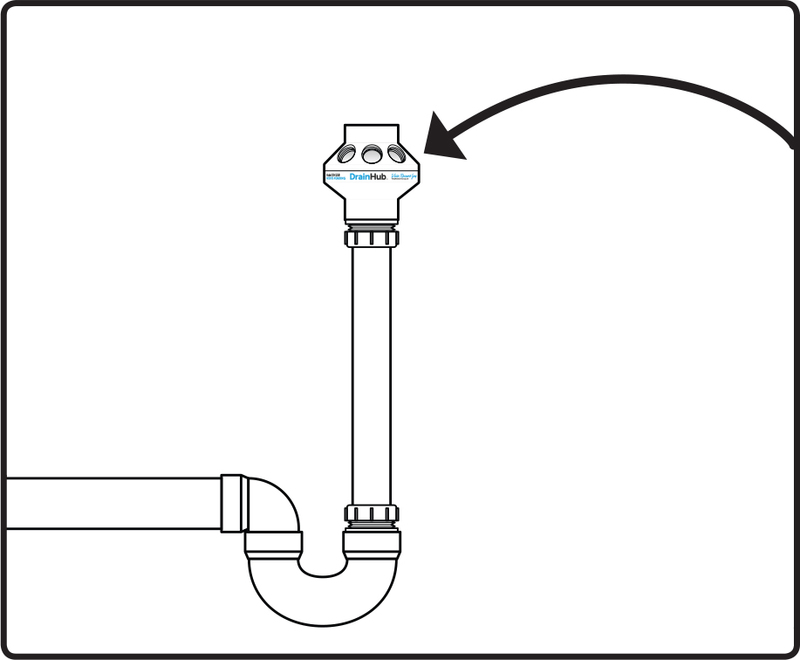 It is possible to install the DrainHub in the main drain line under a sink. However, this position can result in more audibly noticeable drainage of waste containing a significant amount of air. 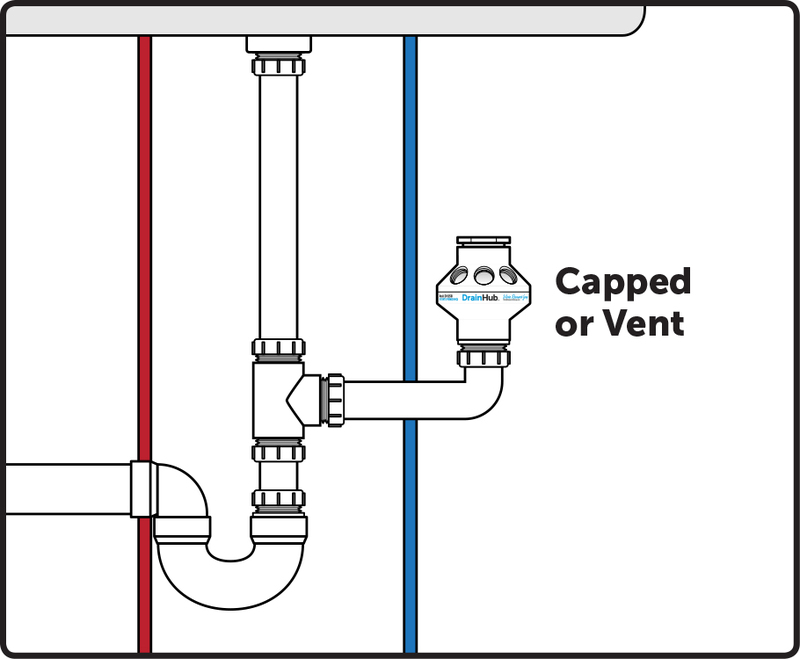 Use DrainHub on a standpipe to connect a washer discharge, softener drain line, furnace humidifier, A/C condensate, R/O system drain and more.